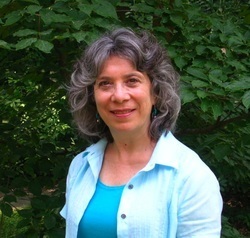 Nancy Wanich-Romita (M.AmSAT) has been both a private teacher and workshop facilitator in the Alexander Technique for over 30 years. Ms Romita initiated the first courses offered in the Alexander Technique at the 92nd Street Y in NYC in 1984. She has taught at the American Dance Festival at Duke University in Durham, NC, Connecticut College, State University of New York at Purchase, University of Maryland at Baltimore County, Peabody Conservatory of Music, Stevenson University, and is currently on the faculty of Towson University. 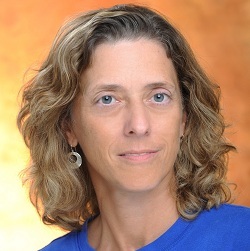 Wendy Salkind is a Certified Teacher of Alexander Technique and a Registered Somatic Movement Educator who has been teaching the Alexander Technique privately, in university classes, and in workshops for 19 years and she is a teacher trainer in the AT Mid-Atlantic training course in Baltimore. She received teaching certification from the American Society of Alexander Technique (AmSAT) and from Alexander Technique International (ATI), and she is a member of Alexander Technique Teachers of Greater Washington (ATTGW) and the International Society of Registered Movement Educators (ISMETA). She completed the Post Certification in Alexander Technique at ATNYC with John Nichols in 2009. She is currently the Presidential Teaching Professor and an Associate Professor of Theatre at the University of Maryland Baltimore County (UMBC) where she has taught for over 30 years. At UMBC her courses in Alexander Technique are required of all students majoring in acting and she developed and offers a popular course in Alexander Technique for musicians. She also regularly teaches workshops in AT for UMBC staff and faculty. She has been invited to give AT presentations at conferences of professional organizations including the Annual General Meeting of the Alexander Technique International, Seven Oaks Alexander Technique Summer Workshop, American Theatre in Higher Education, the Maryland Guild of Organists and Baltimore’s CenterStage Theatre. She has lead invited introductory workshops for speech pathologists, high school music and drama teachers, dancers, and for the general public. In her private practice, she teaches students who have a range of backgrounds and interests, including among others, business executives, teachers, massage therapists, gardeners, horse trainers and riders, musicians, professional voice users, performers, and individuals who suffer with chronic pain. Click here to visit Ms. Salkind’s website.